The popular saying that "Black is beautiful" is waning in potency. Who would have ever thought a black person would be so envious of the white skin that he/she would engage in the practice of using chemical substances to lighten skin tone or provide an even skin complexion by reducing the melanin concentration in the skin? A global icon like the late pop music legend Michael Jackson made a statement by trading his beautiful and adorable black colour for a shrinking white skin that exposed him to health hazards. Nowadays, every young African or African-American lady wants to either be white or close to it. They believe it is the best way to be attractive and beautiful. Public figures especially actors, models, On-Air-Personalities (OAPs) and other show showbiz icons have become unofficial ambassadors of bleaching creams. This is blindly followed by their numerous fans that closely monitor them on their social media pages. Instagram makes it worse as the only value it has is showboating. Dark-skinned models have begun to suffer; dark-skinned actresses are often ignored until they accept the orientation of a skin change/alteration. The dark skin has become an impediment to the beauty of Nigerian music videos. Remember the rumoured case of Akon and Wizkid rejecting all the dark-skinned models that came for their video shoot in Accra, Ghana, in November 2013. I am using this as a point of reference because I believe there is no smoke without fire. Ghollywood, Ghana movie industry is being ruled by light-skinned actresses like Nadia Buhari, Salma Mumin, Nicki Samonas, Yvonne Nelson, Vicky Zugah, Nana Ama Mcbrown and others due to the belief that they are attractive .It is also believed that clothes look better on them. Another point of concern is that most of the so-called leading actresses in Ghana have been accused of bleaching. 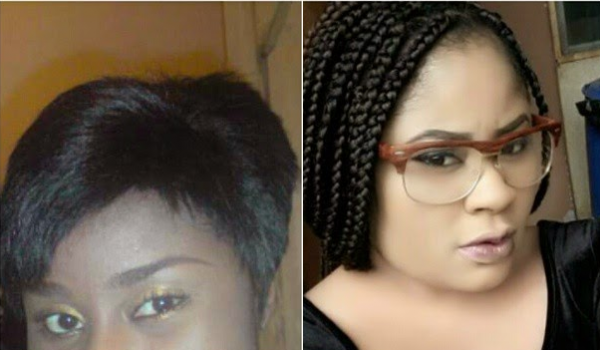 Susan Maxwell, a Yoruba actress and beautician who specializes in selling bleaching products affirmed that 80% of Nigerian men want light-skinned women. She seems to be making a living out of bleaching for people to tell you how well Nigerian women bleach. This light-skin trend has been adopted by the labour sector in Nigeria. Companies now demand for light-skinned ladies to work as receptionists, customer care agents, Personal Assistants, Airline Hostesses, Bankers, Sales and Marketing officers. Job vacancies with such demands paint a picture of prostitution to me. What about the famous female South Sudanese model, Nykhor Paul who is experiencing a turbulent time in her career due to her complexion? Make-up artistes always prepare kits for white models alone which is an embarrassment to her. Falsified skins are paraded with pride. The irony of it all is that they only seem beautiful from a distance, a closer look could be irritating. The beauty of most bleaching folks is only limited to pictures and videos virtually on TV and the internet. Have you ever taken a close look at them without make-ups? What about after waking up in the morning or probably after stress? This unveils the ugliness behind that fair complexion, the age-long dark sports that are like eye-balls staring at you. A focus on the skin exposes the black patches, skin burns and some protruding green veins etc. What is the essence of altering your skin colour thereby causing your fingers, toes and other parts of the body to be left out? They retain their black identities and make you look as if you are dressed up in a costume for a horror movie role. I don't intend to insult anybody bleaching consciously or unconsciously because most women will never accept they are bleaching. In the advent of the unexpected like an accident leading to an opening on the skin, it will be difficult to seal it up by the medical practitioners. Is having cancer of the skin as a result of bleaching a price to pay for beauty? Bleaching speaks volume of a lot about African women. Firstly, it shows lack of confidence and contentment in you. Toning your skin means you are simply envious of the light-skinned people whose appearances have been intimidating to you. Hence, the saying "If you can't beat them, you join them"
Secondly, it is very common among promiscuous woman popularly called "Olosho". It is like the registered identity cards of the call-girls you meet in club houses or at busy junctions on the streets. They bleach to make them attractive to prospective customers who are left imaging the nakedness at the sight of them. This accounts for why some people go into a sexual negotiation with them immediately they stop for them in their cars because they can vividly identify the brand no matter the attire that is covering it. Thirdly, it makes women smell. I thought I was the only person perceiving this fairly strange odour from bleaching women until Olisa Adibua, Programmes Director of BeatFM 99.9, Lagos confirmed it in an interview. Another point is that it toning your skin makes you look sick especially at the advanced state. It gives you the looks of a witch (even though most of us only judge witches by what we see in movies). At a very young age you start to look weird with a multi-coloured skin especially when you are facing intense stress or can't financially keep up with the high cost of bleaching cosmetics. A look at one former Governor of Oyo state that came under the banner of the PDP (Name withheld) will help buttress my views. As the orientation of bleaching spreads across the black race like wildfire razing down the entire forest during summer, have you ever considered the religious implication of the act? "I praise you, for I am fearfully and wonderfully made. Wonderful are your works; my soul knows it very well"
Did you know bleaching portrays a mentality of slavery? In 1450, during the slave trade era, the light-skinned slaves enjoyed certain special privileges unlike the dark-skinned slaves. The light-skinned slaves were allowed to work closely with their masters, sharing the same roof and food with them amongst other benefits. The white masters felt comfortable with them. This prompted the desires of the dark-skinned slaves to tone their skins in order to attract special entitlements from their slave masters. The era of slavery is dead and gone. Why are Black people still living in the past? I leave you with these questions. Let them guide your decisions as you prepare for the future consequences. I am the Village Town Crier.